From an early age, I’ve been afflicted with a fondness for two precocious Missouri-bred boys. These characters, which were spun from the memory and imagination of the great American author Mark Twain, always seemed so real to me. I could place them in history, hear them speak, and see them in my mind as well as I could see my own face in a mirror. As I read (and reread) their adventures, I hated to bid them farewell at a point where their stories were just taking off. I wanted to know what happened to them when they grew up. I began to wonder, “what if…?” For an author, pondering that question is a sure sign a book is about to be born. When I began to imagine all the possibilities, it was Huck himself who suggested the one that to me made the most sense. 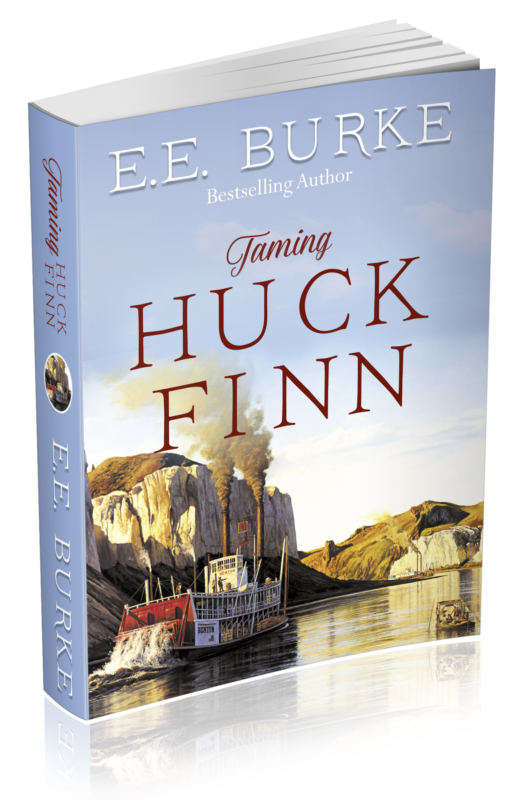 Taming Huck Finn picks up Huck’s story fifteen years after he “set out for the Territory” at the end of Twain’s original novel, The Adventures of Huckleberry Finn. As in Mr. Twain’s stories, the river is a primary character. Only in this book, it is the Missouri River, which at the time this novel is set constituted a natural border between civilization and the Western frontier. I humbly offer this historical tale with profound gratitude to the man who inspired it. Mark Twain, more than any other author, influenced my love for the written word and my belief in the power of a well-told story. Special thanks to Missouri artist Gary R. Lucy for allowing me to use his beautiful period paintings as the perfect setting for my novel. I hope you enjoy this new adventure.